Over the years, Miller Glass has established excellent working relationships with a multitude of the nation’s leading window manufacturers. Whether you’re in search of a new or replacement product, we guarantee we’ll have the aluminum, vinyl, wood, fiberglass, or steel window or door that will be the perfect fit for your budget and desired style of application. Whether you’re building a new home, an addition onto your existing home, or you would like to completely replace/resize your current window openings, Miller Glass’s trained technicians are prepared to do it all. One can choose from aluminum, vinyl, wood, or a combination of interior and exterior finishes to fit your individual needs. Miller Glass works with numerous suppliers such as Marvin, Windsor, All-Weather, and Hope’s Steel Windows to give our customers many choices for creating their desired look when historically re-creating your home or commercial building. Over time its been very common for owners to replace old wood windows with aluminum frames, and then perhaps eventually swapping for vinyl dual-pane windows and now have the desire to return to the classic look that only specialty windows can offer. Whether you’re designing it yourself or you’ve hired the assistance of a professional architect, allow us to help educate you through the many options and advancements that have made the new generation of wood windows virtually maintenance free. If you’re looking to replace old single-pane steel or aluminum windows in your loft or industrial application, there are new dual pane products that will mirror your style while still giving you the latest advances in sound reduction and energy saving. If you’re looking to replace your current single pane metal windows with a more energy efficient and far superior looking window then we have a variety of replacement windows that could prove to be the perfect solution for your home. Replacement windows are designed to fit over your existing metal frame to eliminate the potential costs that are associated with cutting the old frame out of the side of your home. These types of windows have been widely used throughout the glazing industry for several decades, and Miller Glass has had thousands of customers that have been thrilled with their replacement product choices. When properly installed, replacement windows seal very well, protecting you house from the possibility of water infiltration during the stormy seasons. Miller Glass’s repair technicians can help to service and repair any of your glazing needs. Whether it’s anything from broken glass tabletops, to patio door systems in need of adjustments, or even large broken insulated units and skylights, we’re prepared to help. Broken glass can be a hazard to have around your home, be sure to let us help create a safer environment for yourself, your family, and your guests. 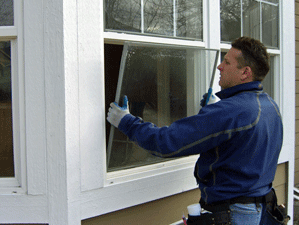 If you have a single-pane window that is broken in your home we can typically fix the unit on the same visit. All we need is a fairly accurate size of the broken unit, it’s location in the house (first floor or higher), and and to confirm that it doesn’t need to be safety glass. 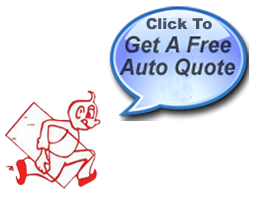 We can typically quote you a very accurate price over the phone with the necessary information. Our technicians can usually cut the exact size of glass that’s needed for your repair once we arrive at the job site. If your window is either single or double pane and you’ve broken the operating section (not-the fixed portion which is sometimes very difficult to remove), you can bring that sash to us in order to save you time and money. If it’s a single pane window we can often fix it while you wait. In the event you have a dual pane window we can measure and have it ordered within a few days. Either way, bringing your broken window to us helps save you time and money. If you have a broken wood sash (the actually wood frame around the glass is damaged) it is possible for us to have a sash rebuilt to the same look and specifications as your old one. This will save you from having to buy an entirely new wood window unit. In the situation that you have single glazed glass inside of a wood stopped frame, it is sometimes possible to install an insulated unit as a replacement option. If the depth of your frame is adequate, the wood stops can be ripped down to accommodate a thicker unit.